My hubby and I have been on a two-week cleanse diet: no caffeine, no sugar, no dairy, no gluten, no red meat, no processed foods. While that sounds kind of onerous, I realized pretty quickly that this is not a weight-loss diet. We are eating lots of food! Tons of fruit and veggies, chicken and fish, beans and legumes, nuts, rice, potatoes and squash. That’s not to say it hasn’t had its challenges. The caffeine withdrawal was BRUTAL. I don’t drink coffee but I do drink tea every morning and I indulge in chocolate now and again but I wasn’t expecting it to be so bad. My head was in a vice grip for 3 days and then it moved into my lower back and body. I felt like I was in a fog for a week. I feel much better now but if I do go back on caffeine, I’m not sure I’ll ever go off it again! yes, i grabbed this photo from google images. isn’t it lovely? I miss yogurt and cheese but I’ve discovered almond milk and coconut milk on my oatmeal is very yummy. I have wished for a Guiness a few times, in particular when I went to my son’s concert at Joe’s Apartment. But all in all, the two weeks have been pretty good. I feel better, I’ve lost a bit of weight and it’s helping me change my relationship with food. The other thing it has done is make me more organized. I used to do meal planning all the time but had gotten out of the habit. Doing this cleanse made me do that again and I am so glad: it saves time and money – perfect for a thrift-minded person like me. 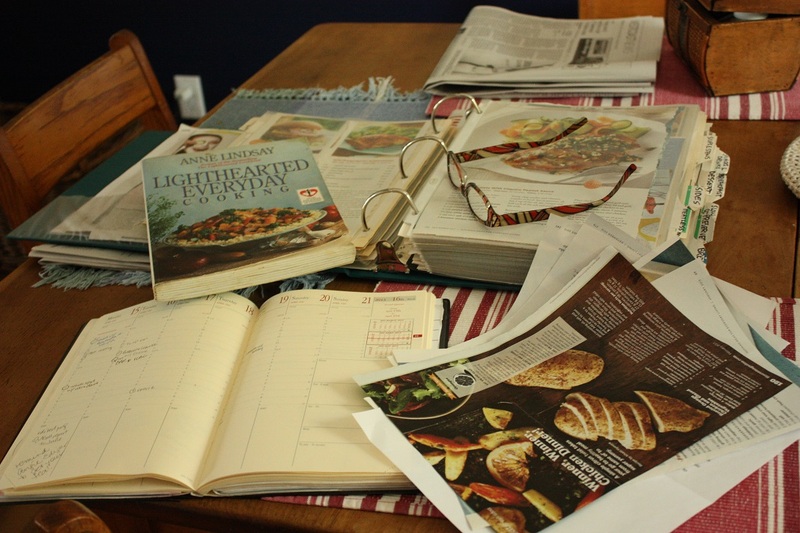 Here’s my process: on Fridays (since that’s my day off) I sit down with a cup of tea, my daytimer and my recipe books. I figure out what my week schedule looks like, when I have evening meetings and need a quick supper, when I have a free evening and can indulge in something that takes a little longer to cook. I pull out recipes, check the grocery fliers for deals and then start a grocery list. I also check my pantry and fridge to make sure I’m not buying something I already have. Mid-week, I usually stop at the local produce place and pick up a bit more fresh produce. I keep the menu list on my fridge and the recipes in my holder on my kitchen counter and just follow that each day. This routine keeps me from wondering what to make for dinner while I’m driving home from work and it also prevents impulse buying. Here’s a new recipe I discovered in the cleanse process. It’s a keeper! 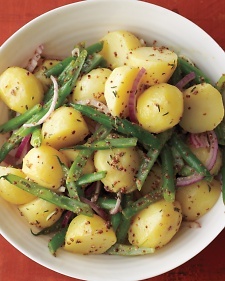 Combine potatoes and beans with olive oil, vinegar, onion, garlic basil and/or oregano (or 1 tsp each dried herb.) Salt and pepper to taste. Eat! What’s your handy tip to simplifying life in the kitchen? Do you have a cleaning tip? A cooking tip? Share your wisdom! 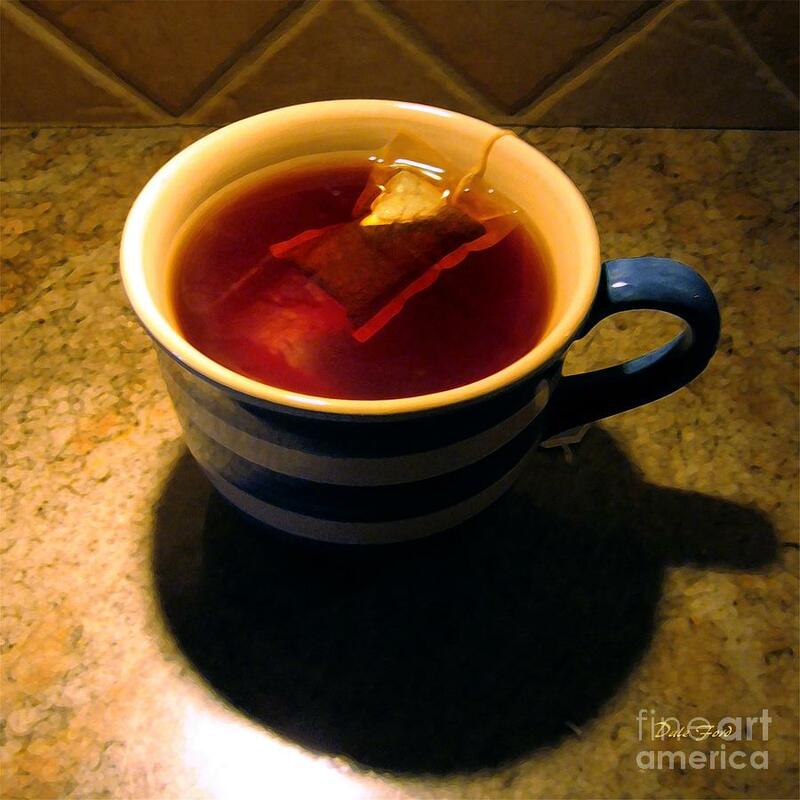 This entry was posted in food, simple living, thrift and tagged food, simple living, thrift. Bookmark the permalink. i love your wonderful post. I find that changes like this, in my diet, force me to find new recipes. The “keepers” are great to find! I wrote the follow-up to your last simplifying post http://www.thriftcore.com/2013/04/simplify-your-life-in-5-steps-for.html Thanks for starting the conversation. I’m on a raw vegan detox again (this one I reviewed: http://www.thriftcore.com/2013/01/getting-it-together-2013-detox-review.html) and love it. Like you’re writing here, it really does make you realize the importance of meal planning and being organized in the kitchen. Meal planning down to the snacks and preparing as much ahead as possible is AWESOME. My vitamix blender is my life-saver in the kitchen because I use it at least 3 times a day for dressings, pates, smoothies, it makes healthy meals in a few seconds and the clean-up is easy. My meal planning routine is the same as yours down to the tea, but I don’t look up coupons. I should do this, even though everything I buy is fresh produce with few exceptions. I work 1-2 days a week in a raw vegan kitchen and can buy organic produce and spices/extracts from them for less or order it bulk as-needed. 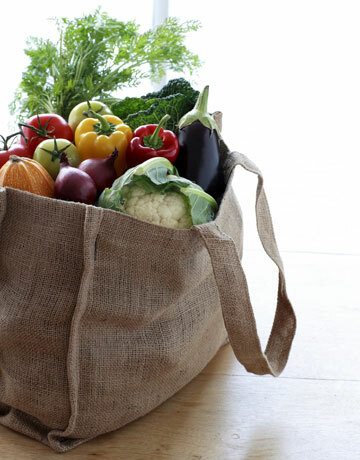 what a great opportunity to work in a kitchen where you can buy organic products! such a bonus! have you seen the documentary ‘hungry for change’? we watched it last weekend and it really got me thinking even more about healthy eating. i think i’m going to put my blender on my counter and start juicing/smoothie-ing more often. i totally remember your organizing-the-kitchen post – i love the way you use photos on your blog! I’ve seen it twice, LOVE it. If you haven’t seen “Fat, Sick, and Nearly Dying”, “Food, Inc.” and read “Fast Food Nation” I recommend those, too. Incorporating a green juice day alone makes such a big difference for your health. I would be interested in viewing “hungry for change”. Where did you see it? Thanks. I found it on Netflix. I don’t know how old it is, so you might be able to find it at your library too. Good luck! It’s great that you’ve decided to cut out processed foods! I know these diets might be tough, but they are so beneficial and will make you feel better overall in the long-run! great advice – i’ve also made the mistake of not writing down amounts on my shopping list. i’ve also done some recipes where i have an unusual ingredient and put that on my list and when i’m in the store i say to myself “what on earth is that for?” and then i don’t buy it thinking it’s a mistake. big problem whem you get to that point in your new recipe! we’ve been feeling loads better since we’ve cut out processed foods and sugar. It’s been an interesting experience also to see how our bodies react as we re-introduce some things. our bodies sure are amazing things.